In one of the fine residential areas in Antalya in the famous Konyaalti gulf region along the Boğaçay Marina project where the yacht club is located. All public facilities, social and recreational services in this area are very close to the project such as: Schools, University, Hospitals, Public Transportation, Cafes, Restaurants, Parks, The famous Konyaalti Beach, Teleferik (cable car), Antalya Aquarium and Dolphin land. 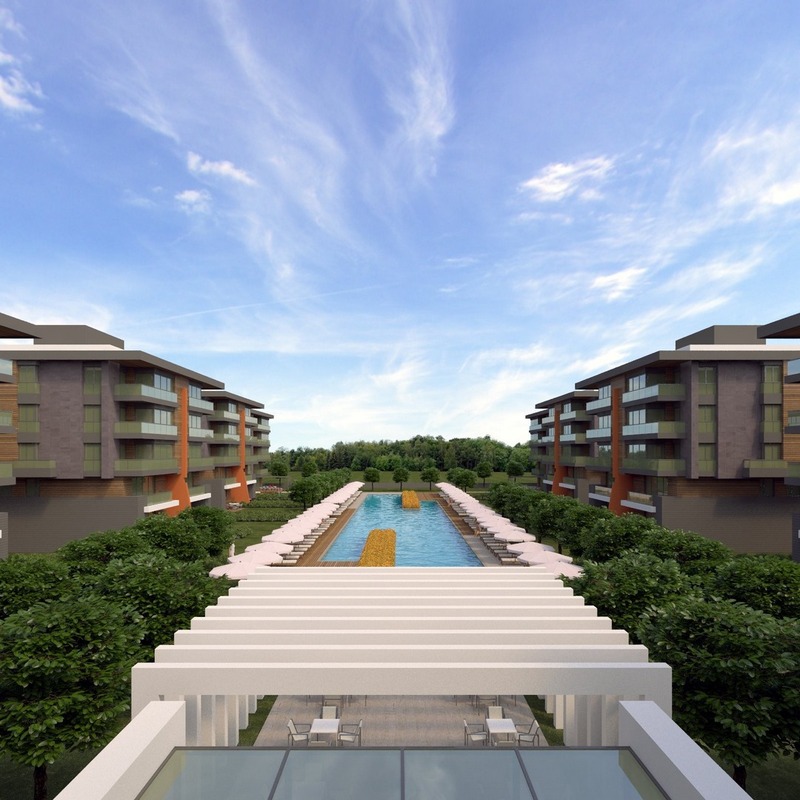 Most importantly the project is few meters walking distance from the huge Antalya Migros Mall which is one of the popular shopping and entertainment destinations in the city. 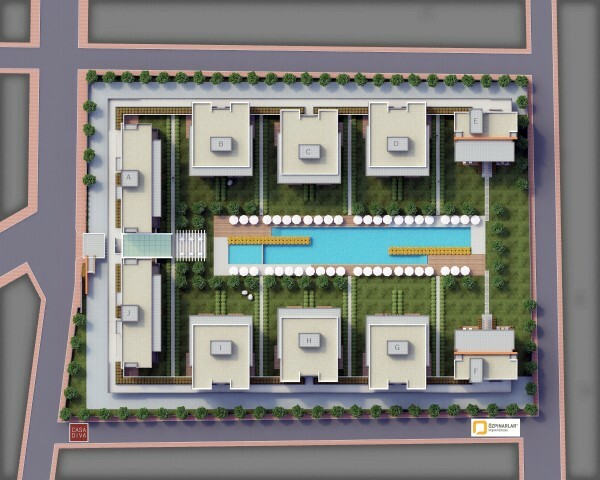 This residential complex is built on area of 15,574 sqm consisting of 10 Blocks/Buildings and 72 apartments. Some of the apartments have a direct view of the Marina Yacht Club and the Taurus Mountains. There’s a variety of apartments, flats and homes available as: Four bedrooms apartment with a large living room, a separate modern design kitchen and two bathrooms featuring the latest and finest brands of ceramic and Italian bathroom sets. The apartments in this project are prepared with high specifications like the Swedish wooden floors, Heated floors system with temperature control feature for separate rooms. The kitchen is equipped with oven, stove and air filter of international brands.